They didn’t ban plastic bags. They’re just making you pay a dime for one. Walmart and all the large supermarkets are still using plastic. Even when I was a kid in the 70's and 80's we always saved them after a grocery trip. Had a lot of uses for them from individual room garbage bags, to crafts and arts, to using them to cover school books. And yet in the produce and meat departments, you still have access to plastic bags..
You can go to the liquor store and walk out with beer in hand, 5th in tow..
Got stopped by a cop, (because CA) and he asked for my ID and if the beer was opened.. nice cause and effect. Essentially, I'm forced to buy a bag to avoid interaction with police apparently. Another "feel good" measure passed by Sacramento without doing the leg work..
Yeah, I got ticketed. It's going to be an interesting court date. it was a ritual for us on the first day of school: we would make covers out of those bags for our books. I agree that plastic is nasty and does not decompose but I thought the US always used those brown paper grocery bags and not plastic. Maybe I watched too many (old?) movies? No some do especially in more upscale markets. But the plastic bag thing came in vogue int he late 80's in our area. The problem is they are super thin and one use was all you got out of them. 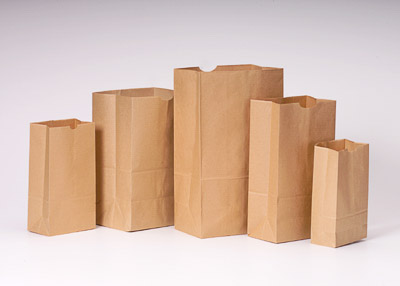 I prefer brown paper sacks because I save them and reuse them. The only place I can find them in my town, which has a Walmart, a Homeland and a small locally owned store, is the small locally owned store. But when I do have need to shop at one of the others, I save the crappy plastic bags and reuse them too. I’ve no idea what I’d have done with my sons dirty diapers when he was a baby without those plastic bags! I also use them all wadded up as packing material when I ship things or store things at home, especially all my old heirloom glass Christmas ornaments. About 3), do they comix with animal waste? Some of the largest ADs I've seen were built on CA dairy operations...any chance you know who ends up with that methane from the AD? I'm still battling the English and Poison Ivy that Hurricane Fran brought in (came back and closed Jan 2016 but Fran was like 1996 or something), but once I knock that out and I can convince the neighbor to lemme borrow his Kubota (he's retired and a couple generations older, but he's always looking to have something to do with it...), I gonna try to do 4). I always found it funny how those bags were designed to degrade under light, get buried in no light and it's the company that makes the bags fault. Dunno how many times I've stopped to do a little birdwatching on a walk an played "count the tree-bags" instead. Little disconcerting to say the least. I got retrained a long time ago to haul my Aldi's bags everywhere. It's actually easier cause I pack my own stuff an less chance of squished items. LOL!! The cashiers seem to appreciate I enjoy bagging. Still keep some of the old plastic ones for kiddo-car illness or to pick up trash on a hike.